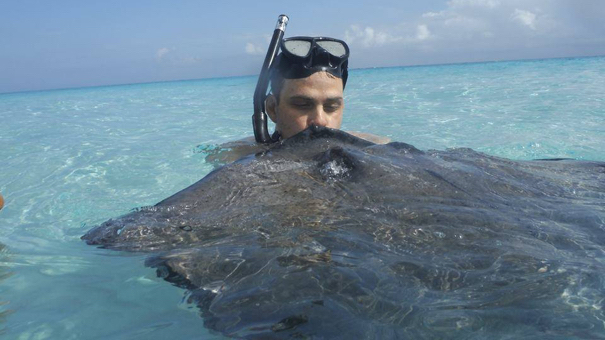 The best part is, these experiences have all been free, thanks to travel rewards credit card points and airline miles. Here are some of the most memorable adventures we've checked off our bucket list using rewards points. In May of 2016, I surprised my husband with a trip to Caribbean island of Grand Cayman. We used points from the Starwood Preferred Guest program to stay at The Westin Grand Cayman, and we paid for our flights with American Airlines AAdvantage miles. The highlight of the trip: an excursion to Stingray City, a famous stretch of sandbar that's home to dozens of huge stingrays. I booked this excursion with Chase Ultimate Rewards points so it didn't even cost a dime. The lobby is pristine, with art and décor that screams Parisian elegance. The large rooms are decorated in gold leaf, while the whole hotel reeks of luxury and seclusion. The breakfast, which we got for free, was regularly more than $100 for two people. And the service was impeccable. When my husband and I visited Greece in 2016, we wanted a fun and interesting way to see the city. While we did a lot of exploring on foot, we were stoked when we found an electric bike tour we could book through Chase Ultimate Rewards. 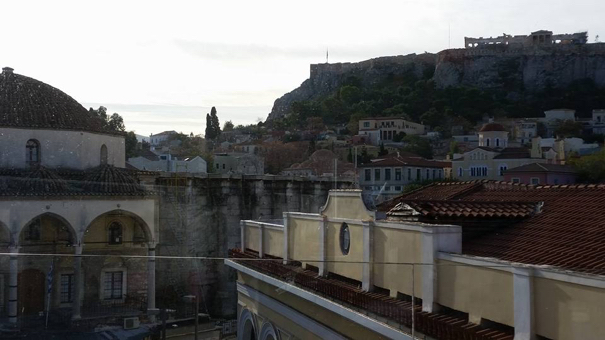 The weather was perfect the day of our trip, making breezing through ancient Athens fun and comfortable. On our electric bikes, we viewed the Acropolis and its famous Parthenon from afar, visited other historic sites like the Roman Agora and the Temple of Zeus, and zipped through busy streets lined with locals and tourists dining al fresco. When we went to Italy a few years ago, we wanted to see some of the countryside near Florence without renting a car. We found the perfect solution: a day trip to three ancient cities throughout Tuscany, which we booked using Chase Ultimate Rewards points. After we boarded our bus near the train station in Florence, we set off to experience the unique charms of San Gimignano, Pisa, and Siena. 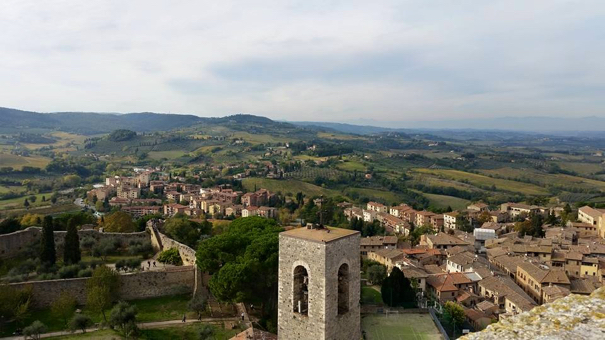 Our visit to the medieval town of San Gimignano was a wander back in time. The walled city is home to beautifully preserved tower homes — the medieval equivalent of skyscrapers. After climbing 200+ steps to the top of the highest tower, we were rewarded with some of Tuscany's best views. 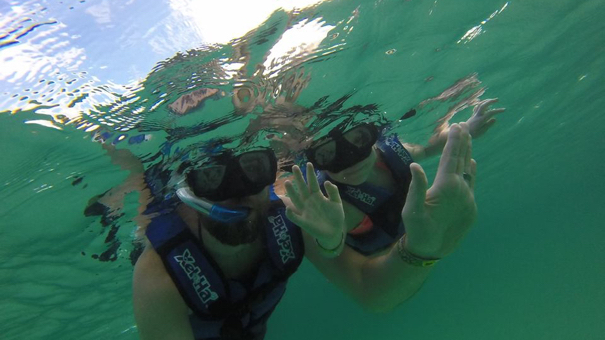 Another excursion we loved was snorkeling within three separate ecosystems in Mexico. This is yet another trip we booked with points through the Chase Ultimate Rewards portal, and it was a great one. 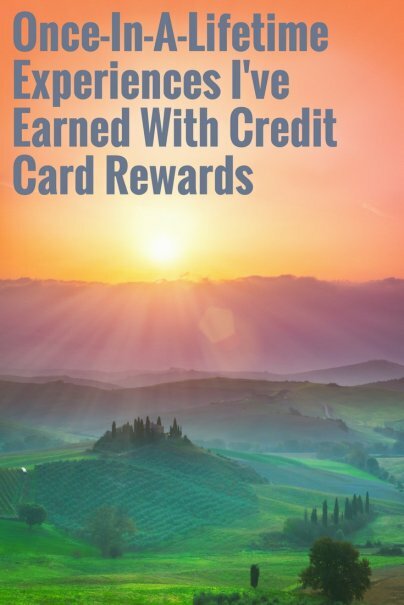 When it comes to credit card rewards, don't forget to think outside of the box. Sure, you can use your points for a regular flight or hotel stay, but there's so much more you can do.